We’ve known for years that rice is a major source of dietary arsenic, but in a new study by Consumer Reports, they found arsenic in more than 200 rice products both conventional and organic. They are urging the FDA to set limits on arsenic levels in rice. The findings show that inorganic arsenic, a known carcinogen, is present in more than 60 popular rice products, including such popular products as Kellogg’s Rice Krispies and Gerber baby food. Arsenic occurs naturally in the Earth’s crust and makes its way into soil and water through ordinary weathering processes. Arsenic also has common industrial uses, including in pesticides and wood preservatives and can persist in the soil for decades. Rice’s outsized ability to absorb arsenic also comes from the fact that it’s grown in water-flooded conditions which foster the absorption of water-soluble arsenic. A disproportionate amount of arsenic is concentrated in the outer hulls of rice which are stripped off when refined into white rice. 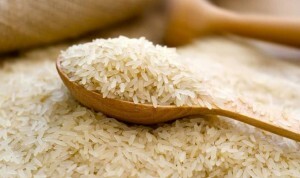 Unfortunately this means that brown rice, which we think of as healthier, has been found to contain more arsenic. Both the FDA and Consumer Reports recommend that consumers vary the grains they eat until a formal study is concluded.